Floating sky lantern like those in the movie "Tangled". Flame retardant paper, safe, 100% bio-degradable, fully assembled. 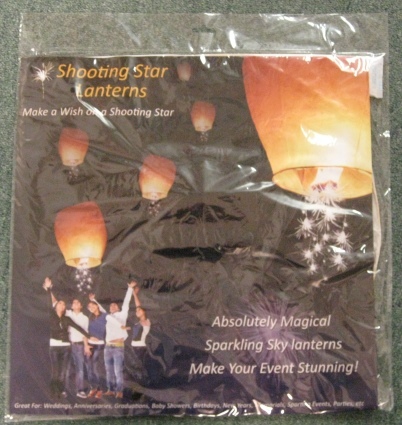 Create dreamlike displays by launching lanterns in groups. Great for weddings, birthdays, graduations, anniversaries, baby showers - anytime you want to celebrate. White lantern, with sparkle dangle.